(VOVworld) – As many as 178 firms have donated more than 1.3 million USD to help disadvantaged residents in the central province of Nghe An enjoy the upcoming Lunar New Year (Tet) holiday later this month. 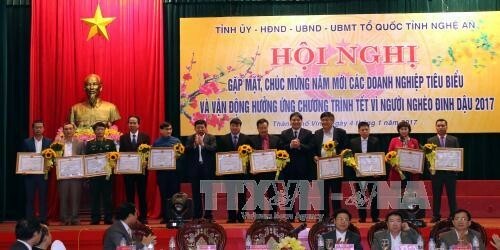 At a fund raising event in Vinh city on Wednesday, enterprises were honored by the Nghe An provincial People’s Committee for their donations. Also on Wednesday, Long An province’s Department of Labor, Invalids, and Social Affairs and the Long An Fund for Children delivered 100 gifts worth 4,400 USD for local needy students. The gifts were covered by businesses. 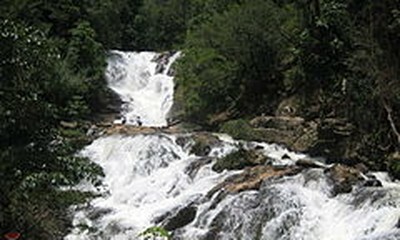 In the Central Highlands province of Kon Tum, 22 charity houses have been completed to acommodate poor families in Dak Ha district and Kon Tum city. Each house costs 2,200 USD, and the money is paid by VinGroup.